We had another day of snow here in the New England area and getting out has been both a blessing, for all the great photographs that I was able to capture, but then also the never ending shoveling and path clearing that had to be kept up to prevent everything from turning to ice. 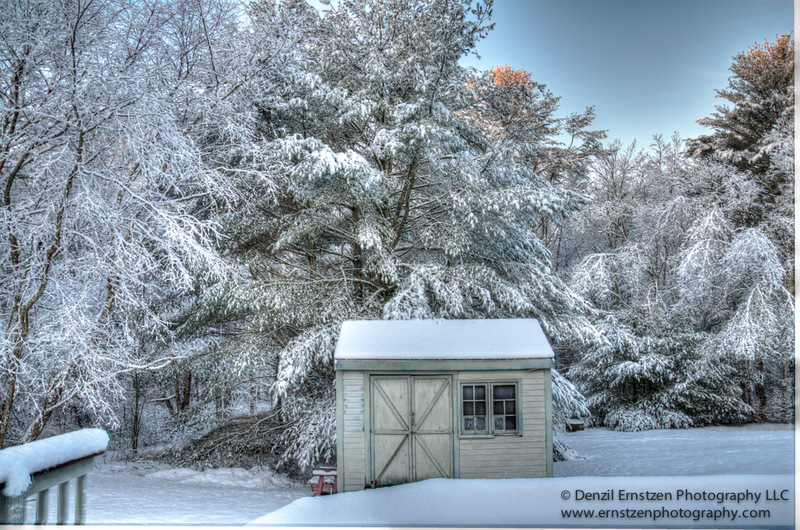 These photographs were HDR images that were captured in my backyard. The snow covered limbs on the trees created the perfect snow scene. I also captured the sun hitting the tops of the trees creating a warm tree top scene. I will however have to watch my rule of thirds. The image with the shed in the foreground would be better if I did not have the pool in the foreground. A good wide angle lens would have been a better option here. 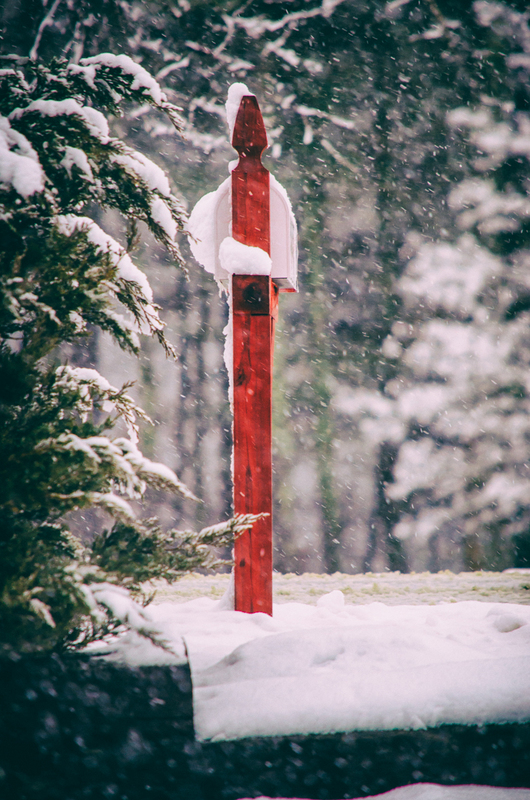 In the following image I took a photograph of the mailbox and then I used the Analog EFex Pro for some vintage image manipulation. Here I applied wet plate texture for a really great effect. Finally, all these images were photographed handheld but I would recommend a tripod if you are going to be photographing HDR images. These would eliminate the blur created by some camera shake. Have a great day until I see you back here again.